Week-end reading. Reading this before I hand it off to my bookwormy Avery. Book Uncle owns a free lending library on the street corner in Yasmin’s neighborhood. His motto? To provide the “right book for the right person for the right day.” Wholeheartedly looking forward to this. 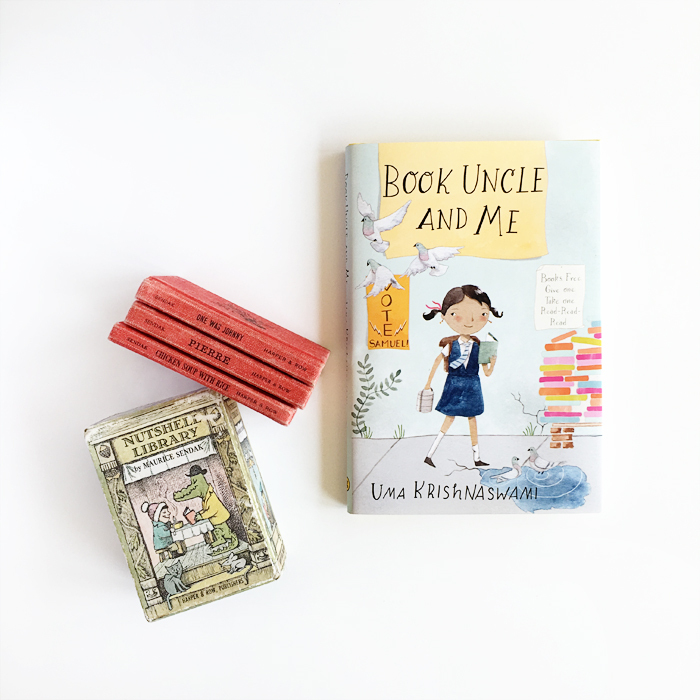 Book Uncle and Me is by Uma Krishnaswami, illustrated by Julianna Swaney and published by Groundwood Books.